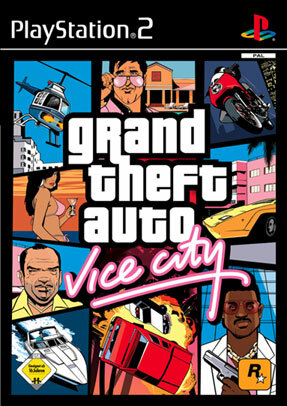 This site is dedicated to Grand Theft Auto: Vice City, the fourth title in the Grand Theft Auto video game series. The game was released in 2002 by Rockstar Games, one year after its predecessor Grand Theft Auto III. The game was initially released for the PlayStation 2 platform, and later released for the Xbox and PC. 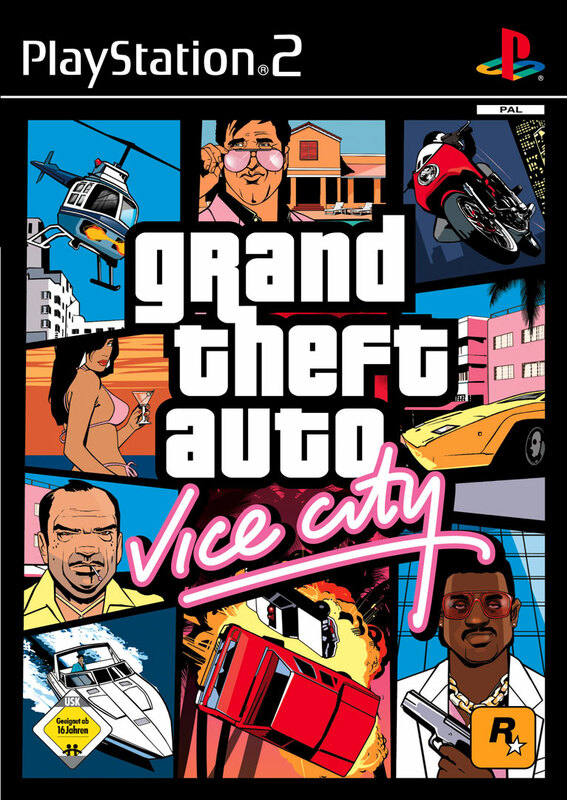 With nearly 20 million units sold, Vice City is one of the highest selling games for the PlayStation 2. The story revolves around Mafia hitman Tommy Vercetti, who was sent down to Vice City from up north to oversee a deal for his bosses. However, when the deal gets ambushed, Tommy must hunt those responsible and make them pay. Vice City's predecessor, GTA3, was what we, and many others, would classify as a "damn good game". Sites raved about it. It picked up more awards than [enter something that gets lots of awards]. There's no doubting the impact GTA3 had on both the console and PC games market. But we can, and do, still criticise our beloved gaming masterpiece. GTA3 had its faults - minor faults - but enough for us to yearn for a sequel to fix the niggles. GTA3 was like your new-born baby who develops unfortunate bucked-teeth - we loved it to bits, but next-time, damnit, that kinds gonna get some early dentistry work. And we didn't have to wait long for the next game to come our way. Vice City was hyped as a whole new game, not just a sequel, and we were promised it would blow our minds. And boy, did it do that! Below we give a summary of the major improvements that Vice City provided over its predecessors in the series. Miami (Vice) is 2-3 times the size of the whole of Liberty City. A big criticism of the original. Grand Theft Auto 3 was built around the Renderware engine. Rockstar programmers really tweaked this rather limited engine to its limits - and what they produced was quite remarkable for what the Renderware engine was actually cut out to do. However, many complained this wasn't good enough - blocky textures and nasty popups plagued both the PS2 and PC version. Since then, the Renderware engine has been vastly improved. And look at the screenshots, the improvement in Vice City is clearly visible. Textures are in a higher resolution and the framerate has been increased. The lighting system of the Renderware engine was also re-vamped, enabling real-time shadowing and reflections. The world is generally much more colourful, too! Various other visual tweaks were made to the game. The camera was tweaked to aid movement on-foot - the camera fixes to an over-the-sholder view to easy targetting. Character models were also given a new lease of life, now sporting much more detailed features overall. Set in the 80s, we were promised a whole new storyline based around our new hero, Tommy Vercetti, prior to the game's release. And, unlike GTA3, the character speaks - vocalised through the talents of Hollywood's Ray Liotta (famous for the superb gangster flicks Goodfellas and Muppets From Space). A whole host of added features were added to enhance gameplay. The game has more indepth missions - rather than the rather mundane pickup > drop off > kill procedings of GTA3, much more engrossing tasks should be set. One big revamp in Vice City is the auto-targetting system. PS2 users were often infuriated by the auto-targetting in GTA3, which would often target completely the wrong person at a critical time. The new method in Vice City selects the victim based on priority (rather than proximity) - so when you're having a gang shoot-out you won't find yourself targetting a ped. Crap-loads of extras were also added - boats are much more heavily featured, and the handling for boats was re-written; gangs are more interactive, with enhanced AI; police respond to other crimes and don't just go after you (finally! - this has been at the top of our request list sinse GTA1); peds are now much more active - we've got tennis players, joggers and roller skaters (a must for the '80s); General AI for peds was improved; motor-cycles also feature. � GTAVice.com 2002. All Rights Reserved.